I've seen a lot of questions recently on various forums involving MOSFET projects not working as expected. 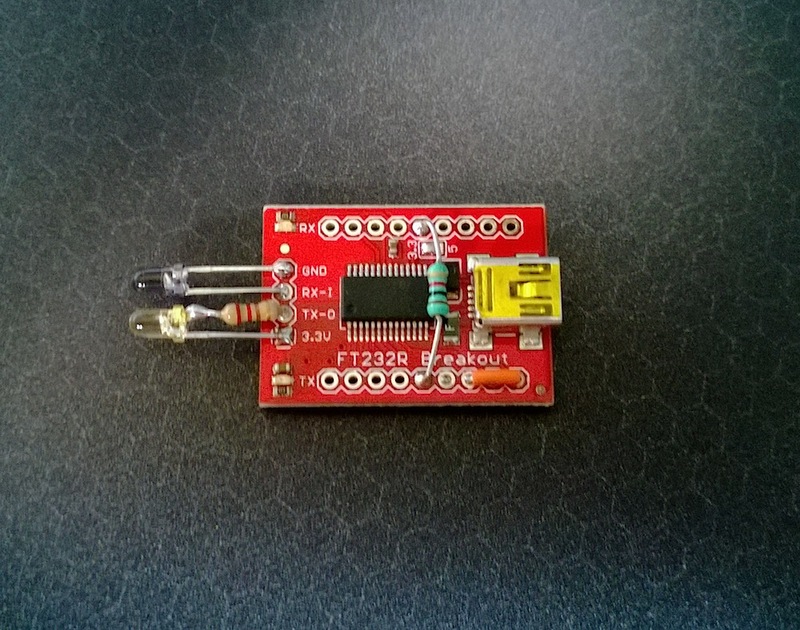 I've been meaning to write up a quick summary of how to use them for simple microcontroller projects, so I figured this was a good time to do it. I continue to use F-Script occasionally to investigate how programs work internally. The framework itself has been updated to handle the changes in OS X Mavericks. However, the developer tools included with Xcode 5 swap out the gdb debugger for lldb, breaking the injection script again. After playing around with the automator action some more, here's what I came up with that works on Mavericks. 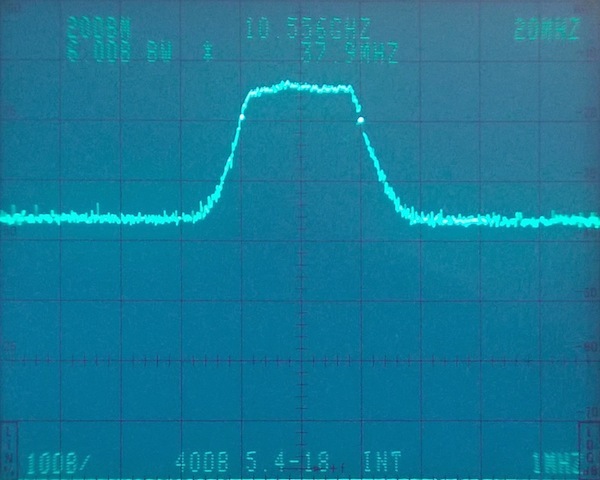 A spectrum analyzer is a phenomenally useful piece of test equipment when working on RF circuitry. While used, several generation old spectrum analyzers can be found fairly reasonably priced, network analyzers are usually out of reach for a home lab. However, with a little bit of additional equipment some of the measurements that would normally require a network analyzer can be done on a spectrum analyzer. For a project I am currently working on (to be detailed shortly), I needed an oscillator capable of covering 8 to 12 GHz. There are quite a few of the miniature Stellex units on eBay, but they generally don't go much past 10 GHz. There are also tons of Avantek modules, in their standard round format, but a lot of them are custom part numbers with no specifications known. Since this particular project wasn't very sensitive to any of the parameters, I waited for a cheap one to show up with the right range and went for it. With a little investigating, it wasn't very difficult to determine the approximate specs for the module I purchased. As soon as the App Store became available, I purchased an iPhone 3G, then eventually upgraded to an iPhone 4. I really enjoyed both of them, but wanted to try something different. About a year ago, I bought the Nokia Lumia 920 when it became available on AT&T. Here are my thoughts after living with it for a year. This review concentrates only on the hardware. I really like the open-source satellite tracking program predict. I'm primarily a Mac user, so to get it I had to use macports to build it. I don't really care for alternate build systems like that, so to use it on my other systems, I decided to bundle it all up, and to spare some people the trouble, I'm going to post it here. I finally got around to building an optical interface so I don't have to use the hack I came up with previously to take screenshots or capture waveforms anymore. While waiting for parts to arrive to build a proper optical serial interface, I really wanted to get some screenshots off of my oscilloscope. Knowing that the infrared LED in the interface is directly transmitting the serial signal, I figured I should be able to tap into that driving signal to obtain the serial information. 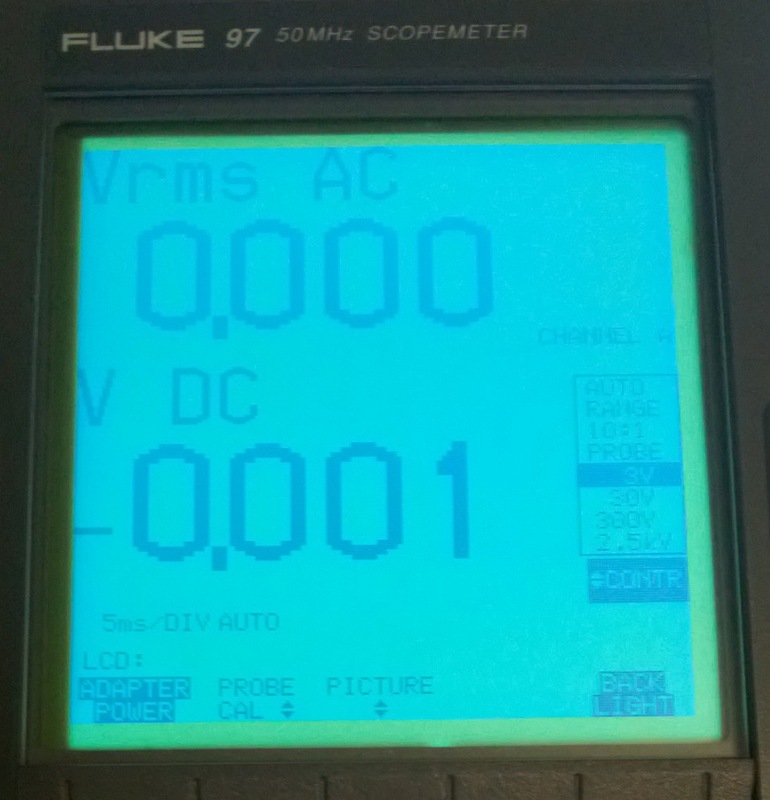 I have a Fluke ScopeMeter 97 that's come in really handy over the years. Before I got it, it was a sales rep's demo unit, so it was used pretty hard. The screen backlight is an electroluminescent panel, and their intensity can fall off pretty dramatically over it's life. This particular display is also transflective, which makes it extremely readable under direct sunlight, but means the backlight is essential to using it in indoor lighting. To use it in the past, I'd shine a bright desk light on it, but I've always wished the backlight would just work. 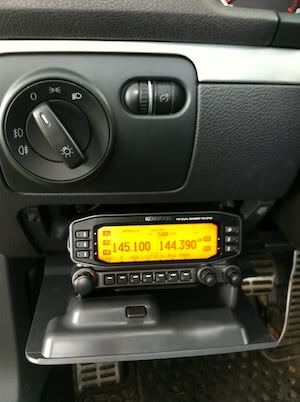 After I tackled the antenna installation, I had to get the radio installed. I've seen several different ways of approaching the issue, but I've never seen one I was really happy with. Here's what I did for a seamless install.